The Aristotle Score is a complexity stratification system that was based initially on expert opinion, in absence of sufficient objective data from databases. Because the scoring system was derived from opinions, we gave the name of Aristotle to this project. The Aristotle Score measures the complexity of surgical procedures. The Aristotle Score was designed to evaluate performance and not directly to predict mortality. The calculated complexity includes both the Aristotle Basic Complexity Score (ABC Score) and the Aristotle Comprehensive Complexity Score (ACC Score). Performance is calculated with the following equation: Performance = Outcome × Complexity Several performances can be calculated by combining complexity with various outcomes. The Aristotle Comprehensive Complexity Score (ACC Score) is calculated on 25 points: The Aristotle Comprehensive Complexity Score equals the Aristotle Basic Complexity Score plus 5 points for Procedure-dependent Factors and 5 points for Procedure-independent Factors. 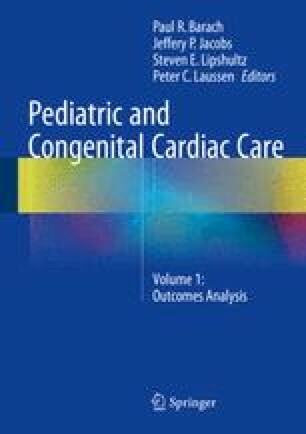 The Aristotle Basic Complexity Score was introduced in the Congenital Heart Surgery Database of The Society of Thoracic Surgeons (STS) and The European Association for Cardio-Thoracic Surgery (EACTS) in 2002 and has been instrumental for the success of these congenital databases. The Aristotle Basic Complexity Score was validated with a C-Index for mortality and morbidity of 0.70 and 0.67 respectively. The Aristotle Comprehensive Complexity Score (www.aristotleinstitute.org) is used by many individual institutions with a C-Index of 0.860 to predict mortality. In the future, the next version of the Aristotle Score, named Aristotle 2, will be based on objective data provided by the new STAT Mortality Score and STAT Morbidity Score and will include an updated technical difficulty index re-calculated based on expert opinion. New basic performances for mortality, morbidity and technical difficulty will be proposed. The Aristotle Comprehensive Complexity Score will be updated and simplified and involve only around 70 procedures, including procedures performed on adults with congenital heart disease. New comprehensive performances will be proposed. The Aristotle 2 score will be ready in 2015. Once validated, it should provide a fair assessment for evaluation of performances in congenital heart surgery. Furthermore, the Aristotle Score is responsible for multiple important contributions leading to the development of newer tools to evaluate cardiac surgical performance. Code of points in artistic gymnastics. http://en.wikipedia.org/wiki/Code_of_Points_(artistic_gymnastics).